Why this works: You are offering them a contrast. Perhaps they believe their financial problems are common to everyone. By making this statement you peak their interest into why you don’t have the same issues. Why this works: If there is one thing I’ve learned from blogging it’s that readers relate to personal stories. When people know you’ve experienced the same issues they want to hear how you managed through it. A note of caution on this one though: Only use it if you have actually dealt with the issue (because people also value honesty). Why this works: It gets them talking more about it and unloading emotion. Many times people can’t discuss an issue properly until the emotion subsides. By extracting the emotion you create an opening to take the conversation to a rational level where problems can be solved. Why this works: It takes people aback. They may actually think their problem is the worst thing in the world. You diffuse that by bringing a sense of normalcy to the issue. They will probably respond with a question like “Really?” or “Why do you say that?” They may even get angry that you are not being sympathetic to their situation. So be prepared with a quick and legitimate answer on why you think it isn’t so bad. Why this works: It builds a connection. People love to know they have been heard and understood. By rephrasing what they said in your own words you show that you are listening and caring. That will draw people in and hopefully open doors for further communication. The great thing about questions is that they generally spawn more questions. So once a person has answered one it opens the door for more to be asked. Try starting with these. If they bite, it’s a good sign they want your help with money problems. Why this works: It’s bold and shows you care. This is by far the most direct approach. Some people will be looking for that and really appreciate you are quick to step out to help. If they hesitate or make an excuse like “I can handle it” you know they are not ready to move forward. Any advice you give at that point will fall on deaf ears. Why this works: It makes them analyze their patterns. Some people aren’t aware of how their everyday actions create routines that cause them to spend money. By tossing out this question you make them think through what they are doing. They’ll probably share that with you and that will create an opening for further discussion. Why this works: It raises tension and/or curiosity. This is the most in-your-face question you could ask because it speaks to their habits and might expose a personal flaw. So be prepared for some excuses and maybe a little tension after you ask this question. But they may never have made a budget and understand why one is valuable. Or maybe they tried one in the past and it didn’t work. By asking the question you imply that you have been using a budget successfully. That could raise their curiosity to the point where they inquire of you about it. Why this works: It makes them face the results of their actions. Be sure to say this in the right tone of voice and with lots of empathy. Otherwise it comes off as condescending and rude. It’s an effective question though because many people can’t connect the dots. They don’t see that behaviors 1, 2, and 3 lead to results 4, 5 and 6. You’ll be leading them to accept responsibility for their actions and opening the door for further communication. Why this works: It helps them think outside the box. They may immediately say “No” or “I don’t see/can’t think of one.” If that happens you can follow up by asking something like “Can I offer a suggestion?” (which is similar to Question #1). Or they may come up with another scenario and ask what you think about it. Either way, you’ve helped them probe deeper and prove they want to talk with you more. I’m using these questions to determine a person’s intent to seek help with money and figure out if they are just whining and complaining about their situation. So from that standpoint they do keep me from wasting my time or putting my foot in my mouth. But my ultimate goal is to lead people forward so that I can help. I desire nothing more than to see people win with their money. However, it’s a balancing act on knowing when people are truly ready for help. Their responses to these questions and statements help me analyze their readiness. Questions: Do you offer unsolicited advice about money to others? How do you approach people who seem to want help with money but your not really sure? Have you ever offered financial advice only to have someone get really upset with you? What other statements or questions could you use? You don’t see too many personal finace articles that discuss “HOW-TO” talk about money with others. We too have taken over 100 families through Financial Peace University and it’s easy to bring up money to them because they are there for a reason – to talk about money! Have you ever had a friend or family member completely shut you out when the money conversation comes up? This has happened to me in the past, and I sometimes don’t think I am handling it the best way (I ignore it). Thoughts/Suggestions? “…friend or family member completely shut you out…” It’s really tough Chris. You can’t help/motivate people that don’t want to be. While it may be painful to watch, they will just have to learn the hard way. I’d continue to live my life in a way that shows I’m winning with money. Be an example in everything you do in the hopes that the friend for family member takes notice. Keep them in your prayers. And avoid the conversation escalating to any great degree that might strain the relationship. You always want an opportunity to bring the topic up again and if you’ve ticked them off they’ll be less likely to listen to you in the future. You are so right. 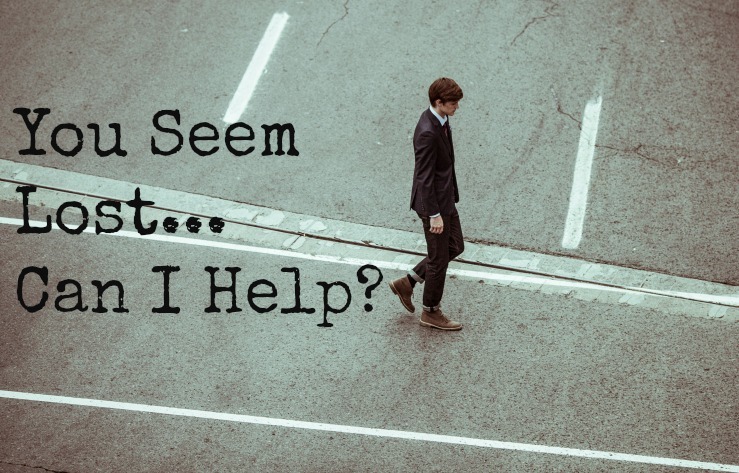 If people aren’t ready to make changes and asking for help–whether in money, addiction, diet, or any other challenge–I think there’s little point in offering suggestions or advice. In extreme cases, an ‘intervention-style’ approach might be needed, but those cases are rare. Many people have to get to the place they need to be to accept help and make changes in their own way, and the rest of us can’t do a lot about it except maybe be supportive along their path. Kurt recently posted…How’s Your Financial Well-Being? Great advice Brian. Money is an emotional topic and people have many walls they erected around the issue. Its important to remember (especially for us financial bloggers) that not everyone is as willing to talk about money as we are. Brian from DebtDiscipline pinpointed it correctly, I think – fear is the biggest obstacle. People fear what they don’t know, and most don’t know much (or aren’t confident) about money. All the more reason to talk about it! “…not everyone is as willing to talk about money as we are.” That’s a great point to keep in mind. It comes a lot more naturally for me because I do it so much through this blog and through my FPU classes. I’ve helped some family members with financial advice, and some are receptive while others, even if they asked for the advice, become defensive and start generating excuses. I think you’ve hit on some excellent ways to gently ease into the conversation and gauge their true interest. Sometimes, however, I think it is simply a matter of the person being ready for it. If we’re not ready to make changes in our lives, no matter how badly we may want the outcome, it will be difficult to make progress or even talk about the ways we can move forward. Gary recently posted…Happy 1st Blogiversary to Super Saving Tips! Even people who pay me for my advice can have a difficult time opening up about their financial lives, concerns, fears and goals. People do feel very judged when it comes to talking about money, which can make them turn quickly defensive, even when you’re not judging them. These are great scripts to gauge whether someone just wants to complain (and likely have you sympathize with them) or is truly open to dialoguing and taking control of their money. So many people want easy answers with little effort, which as you and I know – are rare. “…People do feel very judged…” Some people are way too sensitive…other times that is our fault they feel judged. It’s challenging to discuss sensitive issues with people and give them advice without sounding like you are judging them. People need to feel love, compassion and empathy in our voice and often we just don’t have/show it. I debate offering unsolicited advice ALL the time; however, after overstepping my bounds a few times, I have realized how to pick up on the signs of those who truly want the help but don’t know how to ask versus those who need the help but don’t think they need to ask. I have the most success when I share stories of my client’s struggles and successes because it helps disarm the person I am talking to and relate to my client’s experience. “…share stories of my client’s struggles and successes…” People learn from stories and hearing how others made it through a difficult time. I think that’s a great approach. The only people who’ve become upset at any financial advice I’ve given is family, lol. Seriously though, great thoughts Brian! I find that I don’t have a ton of opportunity for conversations like this but I like to take a similar approach in asking some questions to try and dig a little deeper and go from there. Depending on what the given circumstance is – I typically like to start with something like #4 or #5 and see where it goes. Isn’t that interesting…it’s the ones we are the closest to who we end up having the most problems with. Great tips and advice! Unfortunately, mostly of my relatives came to me and ask to borrow money from me which is really depressing. Haha…that’s not the type of money conversation you want to have. There are a lot of whiners and complainers out there, so these are great questions to help qualify if they are really looking for help. Money talk in general is typically a guarded topic for most, but if you can get past that initial fear you can help those in need. “…get past that initial fear…” Agreed…Fear is big driver that keeps us from opening up. These are some excellent scripts. I’m not sure why people always feel the need to be so guarded when it comes to talking about money. I’ve offered to help people sort out their retirement planning and even pick out which funds to go after, and they still won’t budge. When people hear that my finances are going good, they always wonder what my “secret” is – as if there is some short term trick I have. Usually they are disappointed when they hear my finances are where they are thanks to 10 years in the making. “…why people always feel the need to be so guarded when it comes to talking about money.” That’s an excellent question…I think there are lots of reasons – privacy, embarrassment, relationship issues, fear just to name a few.